An herb is a plant valued for flavor, scent, medicinal or other qualities other than its food value. Herbs can be classified according to their use. A culinary herb can be any other part of the plant itself like its seeds, berries, barks, roots and fruits, which provide flavor to food even in very minimal amounts. 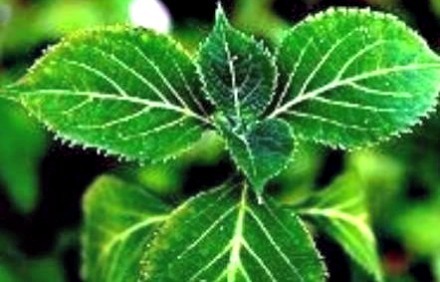 A medicinal herb is used to treat or prevent diseases or disorders and promote good health. Other uses of herbs are for religious purposes and pest control. According to Dr. Gemiliano D. Aligui, a research epidemiologist, herbs in relation to sports can stimulate peak levels of physical performance, control pain in injuries, manage weight and rehabilitate the body from the consequences of injuries. Aligui cited various examples of helpful herbs in each categorical purpose in sports. Yohimbe (Pausinystalia yohimbe) and Indian snakeroot (Rauwolfia serpentina) contain ‘yohimbe’, an alkaloid capable of stimulating the body and acts as an aphrodisiac. Tongkat ali (Eurycoma longifolia) increases free testosterone levels to improve performance. Maca (Lepidium meyenii) is a nutritionally dense herb which contains 60 percent carbohydrates and minerals like selenium, magnesium and calcium. Turmeric (Curcuma longa) has been shown to be a COX-2 inhibitor, a non-steroidal anti-inflammatory substance. Ginger (Zingiber officinalis) lowers prostaglandin levels to help ease pain. Chili pepper (Capsicum frutescens) contains capsaicin which reduces inflammation and pain. Banaba (Lagerstroemia speciosa) contains corosolic acid which improves glucose utilization and contributes to weight loss. Green tea (Camellia sinensis) contains epigallocatechin gallate (EGCG), which helps metabolize fat with regular exercise. Turmeric (Curcuma longa) helps in fat digestion and limits fat deposition. Although these alternatives are surely beneficial, it is recommended to ask a licensed medical practitioner knowledgeable in herbal medicine before taking or mixing these herbs with prescription or non-prescription drugs. Herbs may have adverse effects when mixed with other drugs. The Nutritional Guidelines for Filipinos (NGF) developed by a team of experts led by the FNRI-DOST are primary recommendations to achieve good health and proper nutrition of Filipinos. The tenth guideline, "For a healthy lifestyle and good nutrition, exercise regularly, do not smoke and avoid drinking alcohol beverages," focuses on behavior modifications for a healthy lifestyle. This guideline aims to encourage people to engage in physical activities either by brisk walking, jogging or playing sports, and to turn away from unhealthy vices such as smoking and excessive alcoholic beverage consumption. In this fast-changing and demanding environment, people tend to search for choices. As natural and cost effective as herbs are, there’s a lot more reason to go out and play!